Karen H. Strange practiced as Midwife and Clinical Director at Maternidad La Luz, a high-volume birth center and midwifery school on the US/Mexico border. Later she had a homebirth practice in the Dallas/Ft. Worth area. She served on the Texas Department of Health Midwifery Board and as chairperson of the Complaint Review Process Committee for six and half years. She has been an instructor for Neonatal Resuscitation (AAP/NRP) since 1991, tailoring her style for those who work in the out-of-hospital setting. Karen has taught neonatal resuscitation to more than 3,000 people in over 30 states and several countries abroad. She has a passion for teaching neonatal resuscitation in a way that addresses the fear practitioners may experience while learning and practicing this skill. She uses specific tools throughout the day which students may in turn apply during their skills performance evaluations. Karen wants her participants to learn the counts for delivering neonatal resuscitation, but more than that she wants them to understand what needs to happen to help a baby that is not breathing, which means they will have a deeper knowledge about the process than just learning the counts. Because of Karen’s own interest in how evidence-based studies impact the care given to babies at births, she specifically covers studies on things like suctioning for babies born through meconium stained waters, the exclusive use of 100% oxygen in the resuscitation of newborn babies, and thermal management of the newborn. She compares the studies and how they apply to national and international neonatal resuscitation guidelines. Karen is an advocate for the conscious and aware prenate. 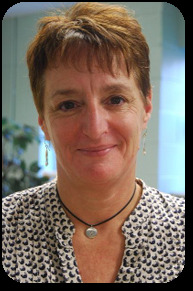 She has been a member of APPPAH (The Association for Pre and Perinatal Psychology and Health) for 14 years and has presented at numerous APPPAH national conferences. Her courses uniquely shed light into the world of what babies truly experience in their journey to be born. She shares her “Simple Tools” to help babies integrate what goes on for them prenatally, in labor, during birth, in the postpartum, and even later on in life. Karen has presented this lecture nationally as well as internationally. Karen lives with her husband of 19 years and her new rescue Golden Retriever in Lafayette, Colorado within a co-housing community. She loves animals as much as she loves teaching about babies and resuscitation.